It's pretty straightforward, once you create a profile and fill out your characteristics, our Agency Members (which include production houses, casting agents, ad agencies and video producers) will be able to see you in search results when they look for specific talent for any project. Creating a profile that accurately represents you is key so the people hiring you get exactly what they are looking for - that's also the way to get the most jobs. Once you've registered as an agency you will be able to login and do a customized search for the exact actor(s) you are looking to hire. You can search by location, ethnicity, features (such as beard/bald/etc.) and more. When you find someone you're interested in hiring simply contact them using the built in contact form on their profile page - it's that easy. 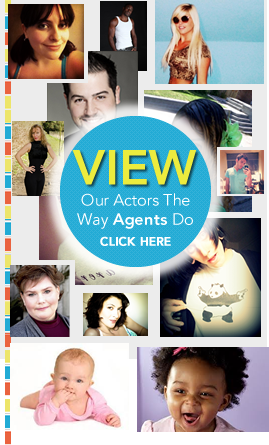 To view a sample of the tools you'll have at your disposal when searching, and a random selection of 30 of our actors click the "View Our Actors The Way Agents Do. Click Here" button above.